Eight projects to ensure a possible tomorrow to unaccompanied minors in Italy: all the projects have been selected within the Never Alone 2016 National Call for Proposals for the promotion of the autonomy and the inclusion of young migrants, in full compliance with the children’s rights. “Welcoming, protecting, promoting and integrating migrants and refugees”, this is the message of Pope Francis for the “World Day of Migrants and Refugees“, which will be held on January 14th, 2018. Among other issues, the protection and support for unaccompanied minors, girls and boys who are in Italy alone, without assistance and their parents’ representation or other adults legally responsible for them. The presence of unaccompanied foreign minors in Italy and in all the European Country is constantly growing. Data about unaccompanied minors, as reported to the authorities and that are present and registered in the Italian accommodation facilities, gathered by the Ministry of Labor and Social Policy, show a significant increase in the period 2014-2017: as at December 31st, 2015 there were 12,000 unaccompanied minors and at the end of 2017 the total number was about 18,000. They are predominantly male (93%) and aged between 15 and 17 (93.2%). 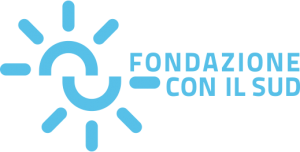 Fondazione Cariplo, Compagnia di San Paolo, Foundazione CON IL SUD, Enel Cuore, Foundazione Cassa di Risparmio di Torino, Foundazione Cassa di Risparmio di Cuneo, Fondazione Cassa di Risparmio di Padova e Rovigo, Fondazione Monte dei Paschi di Siena and Fondazione Peppino Vismara have pooled their forces together in the initiative “Never Alone, for a possible tomorrow” which put together in Italy a series of actions to promote the autonomy and the inclusion of young migrants. In 2016, the Foundations launched the first edition of the National Call for Proposals “Reception and support for unaccompanied foreign minors and young adults who arrive in Italy alone”, which is now giving support to eight projects with 3.5 million Euro. These projects, operational since April 2017, are focused on the enhancement of the young people transition to adulthood, the strengthening and dissemination of best practices in foster care and volunteer tutor systems, and the reception of migrant girls, with the objective of ensuring a future to the minors who arrive in Italy alone. Education and training. There are almost 180 children who have been hosted in Rome and that in these last few months have taken part in specific plans to learn both Italian and civic education within the “Together” initiative. The project – active in the cities of Catania, Rome and Turin – has been headed by Save the Children Italia together with a network of ten partners. 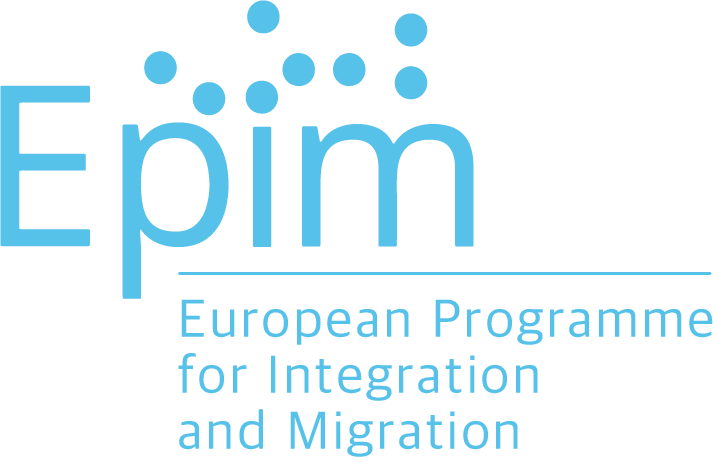 The training plans have been developed according to the Clio methodology (Linguistic Centre for Integration and Orientation), a teaching model that promotes a targeted and cut to measure learning approach for unaccompanied minors. 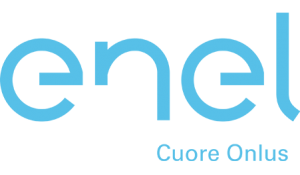 «Clio is based on the principle of learning by doing – explains Mr Francesco Scarcella, the national representative for education of the “Together” project –. In this connection, lessons and workshops are not meant merely to language tuition from a grammatical and lexical point of view, but they are more focused on those issues linked to everyday life, such as the knowledge of one’s rights and duties, and the encouragement to participate which is vital for those unaccompanied minors who want to live in a positive way and with responsibility this complex experience in a foreign Country». Study materials and content are conveyed even through Facebook: «This channel supports and enhances the work done in the classroom – continues Mr Scarcella – for education purposes. It looks like a tool that encourages communication in Italian through the publication of images, music and videos. We also cooperate with a web radio, which is trying to involve the children in the radio program schedule; furthermore, we are working on the activation of an exchange between the CivicoZero classes and those of the secondary schools in the area to encourage the dialogue and the experience sharing among peers». In the Naples area, the Cooperativa Sociale Dedalus, within the scope of the “Pending Kids” project, is working on the same project that is training some foreign new-adults as peer operators, in order to help the operators in their daily activity with unaccompanied children and encourage good practices for the transmission of knowledge, skills and emotions. Job placement. An integrated path made up of a short vocational training cycle of 75 hours and a three months internship, is the proposal of the “Along the way” project which involves more than 170 children hosted in the cities of Bergamo and Bologna and in the provinces of Leghorn and Syracuse. The objective of CESVI and the sixteen partners network who are working on the project, is to put forward a quality proposal which might be sufficiently short to attract those kids who are close to turn 18, giving them more opportunities to enter the labour market once their training is over. Up to now, the young adults have joined educational programs in the mechanics, restaurants, carpentry, tourist reception, maintenance of the green, and logistics industries and are carrying out internships in specialized companies and workshops in the same fields. Omar is one of them. He is 17 years old and comes from Guinea. When he arrived in Italy, he was hosted in a community for minors in the Syracuse province. «I was lucky twice: first because I had survived the trip; second because I had found a place where I could carry on my life project and my dreams». Omar is ambitious: he wants to attend the linguistic high school and work in the tourism industry. «I have recently started an internship in a hotel, with the promise of being hired and today I see my target closer at hand». In Palermo, Famara and Lamin have received a proposal for a permanent job in the companies where they had carried out their apprenticeship, the first is working as a storekeeper in a company active in the IT industry, while the latter is a worker for a health care company. Famara and Lamin are two of fifteen boys who have recently finished the orientation courses and trainings offered by the project “Harraga Guys“. Everyone is aged between 16 and 19, and has arrived in Italy alone, no more than 24 months ago. Some of them have been placed in the catering industry, others in the field of metal mechanics: Mr Giuseppe Lombardo, the owner of the Lombardo Garages of Palermo, has been one of the first entrepreneurs to answer the call of CIAI, supporting one Harraga Boy in his vocational training. «A boy from Guinea Bissau has done an internship in my garage – Mr Lombardo tells us –. He is a hard worker and in the three months of training he has grown up a lot. Unfortunately I cannot hire him, but I will do my best to help him find a job: I would recommend him to anyone who had a job vacancy. These are boys who have experienced a reality that we cannot even imagine: it is our duty to help them, give them an opportunity to save themselves from the street, from crime and dangers, as we do with our own children». Housing placement. During the new adults’ transition phase towards autonomy, the Istituto Don Calabria is testing the formula of the apartment in semi-autonomy. Four houses in Ferrara and Verona are reserved for the beneficiaries of the project “Foreign unaccompanied minors and young adults: actions for inclusion and autonomy“ and nineteen guys have already taken advantage of this opportunity. A maximum of six guys are hosted in each apartment which are reserved for those who have managed to get a job contract, because they are requested to contribute to the rent payment, utilities and daily expenses. The group is coordinated by an operator who helps the guys keep pace with the housekeeping schedule and deal with the relational aspects of cohabitation, making an activity plan for the housekeeping and weekly expenses, as well as facilitating the integration among cultures, religions and people with different customs and traditions. One children, one family: this is the principle at the base of the project “Nevermore Alone“, promoted by Cidis Onlus together with a network of five partners. For those boys who arrive in Italy as unaccompanied minors it is almost a leap in the dark to became adult and the beginning of a new phase of uncertainty. They are forced to leave those centres for minors that had previously welcomed them, with the risk of losing those relationships and habits that they had so hardly been able to establish: friends, school, operators. A Family Accommodation can be the right answer to their needs: an extra help in their journey towards autonomy and adulthood. Cidis Onlus has already been present in four squares between the Northern and Southern of Italy in order to raise awareness on the issue and promote the practice of foster care. Together with Refugees Welcome Italy, this organization has recently promoted a campaign with the same objective targeted at the citizens in the regions of Calabria, Campania, Lazio, Umbria and Veneto who want to open their doors to the new-adults: to help them feel at home. «We are a fundamental support in a place and in a timeframe in which the kids are without any family relations: being a tutor makes me feel a better person, and gives me something important in terms of human relationships and new food for thought». Says Ms Roberta Lo Bianco: she is 34, psychologist, she has been one of the first people in Italy to be entitled volunteer tutor for foreign unaccompanied minors, a position introduced by the Law nr 47 of 7th April 2017. She has attended a training course in Palermo and now she takes care of two guys aged 17: the first comes from Nigeria, and the latter from Gambia and has been recently taken in foster care by a family. For a few weeks she has also been the tutor of a boy aged 15 form Guinea Conakry. The volunteer tutors works as a legal representative and takes care of the minor’s rights acknowledgement, promoting his psychological and physical well-being, supporting and guiding his integration and educational development, with a view to considering the minor’s capabilities, natural inclinations and aspirations. «This is a role that everybody can play – reassures Ms Lo Bianco –: the legal papers and bureaucratic practices to do are compatible with an 8-hour job and you don’t need to have a specific title; the most important thing is the relational side». An important role model that grants unaccompanied minors their legal, civil and human rights. Today, there are about 50 tutors under training in Brescia: they are taking part in the curriculum put forward by Fondazione Museke within the framework of the project “MSNA – Minors: Sow a New Acknowledgement”. This cycle, which started in October and is going to finish in February, is structured under four thematic sessions: 40 training hours to investigate the legal, psychological and relational aspects related to the role and help the tutor build up a good relationship with the minor. Blessing is underage and arrived in Italy alone a few months ago. «I got here thanks to a friend who promised me a job in a company. In Nigeria, I was doing some small jobs, but it wasn’t enough to earn a living for my family: we are so many. Just arrived in Italy, I realized that there was no company, no job for me. My friend offered me another job: “This will allow you to give the money of the journey back,” she said. I’ve accepted. She gave me a wig, makeup, close-fitting clothes and high-heeled shoes: I was confused. Only then I realized that I had to work on the street. I was threatened, and my family too.» Her dreams, expectations and her desire to offer a better life to her family had collapsed under the weight of unfaithful promises and exploitation. Blessing’s is one of the so many faces that pushes CISS, together with a network of seven partners, to work on the project “M.A.P.NET“ in order to build up a specific reception system, able to give effective and timely responses to the needs of the girls at risk or victims of trafficking. Their objective is to build, to improve and adopt measures for identifying and taking care of the girls in order to save them from the danger they might fall in since landing on the Italian territory. Through a systematic action, M.A.P.NET supports the work of the various players involved in this process: municipal facilities and reception centres’ operators, volunteer tutors, teachers and students of schools hosting foreign children, groups of supportive young people who are active at a local level, and some representatives of the Nigerian civil society, important points of reference for an effective preventive actions.